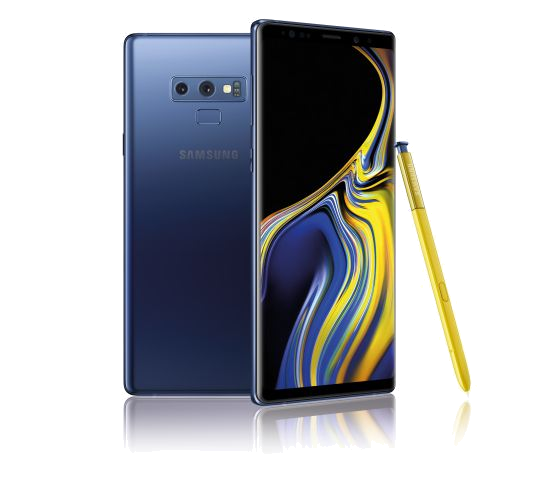 Samsung Galaxy Note 9 was launched at the Samsung Galaxy unpacked event held in Brooklyn, New York. The Samsung Galaxy Note 9 will have a bigger battery and S Pen has been better than ever. You will be able to use 1 TB of storage in Galaxy Note 9. The top variant of Samsung Galaxy Note 9 will come with 512 GB inbuilt storage and will be storage 1 TB with the help of 512 GB MicroSD card. In the US and other markets, this handset will come with Qualcomm Snapdragon 845 processor and 8 GB RAM. In India, Samsung's handset will be available with Xinos 9810 processor. Samsung Galaxy Note 9 will be available in Midnight Black, Metallic Copper, Ocean Blue, Lavender Purple color. The funny thing is that the Ocean Blue variant will come with yellow S Pen. In other variants, the color of the S Pen will be according to the color of the phone. According to the market, this handset will be available for sale in single and dual sim variants. Dual sim variants are scheduled to come in India. Samsung Galaxy Note 9 was already listed for pre-booking on Samsung's website in India. The phone's 6 GB RAM and 128 GB storage variant is priced at Rs 67,900 and the 8 GB RAM and 512 GB storage variant have a smartphone price of Rs 84,900. Both variants are listed in Midnight Black, Ocean Blue and Metallic Copper Color Variations. Let us know that the pre-orders for the phone are now closed. HDFC Credit Card Holders will get a cashback of Rs. 6,000 on the purchase of the phone. On other cards, there will also be a choice of No Cost EMI. Along with that, customers who have pre-booked the phone will be able to purchase the gear-sport gems at Rs. 4,999 for Rs. 22,900. There is also an additional exchange offer of Rs 6,000 on buying phones from the Samsung shop. Amazon India and Flipkart are giving similar benefits to phones. The Samsung Galaxy Note 9 will have 6.4-inch quad HD + Super AMOLED Infinity Display 2.0 display, which is 1440x2960 pixels. For the first time, such a big display has been given in the Galaxy Note Series. This handset will come with 18.5: 9 aspect ratios. The thickness of the Galaxy Note 9 is slightly more. The Galaxy Note 9 weighs 200 gms. As we told you earlier, in the US, Galaxy Note 9 will come with Snapdragon 845 processor (2.8GHz + 1.7GHz). In India, this handset will be available in the Acinos 9810 processor (2.7GHz + 1.7GHz) variants. Samsung has launched two variants of Note 9 - 6 GB LPDDR4 RAM / 128GB Storage and 8 GB LPDDR 4 RAM and 512 GB RAM. Talk about the camera, the dual-rear camera setup will be available in the Galaxy Note 9. Both the sensors will be of 12 megapixels, which will have a prescription (F / 1.5-F / 2.4). With a rear camera, you will be able to zoom in 2x optical zoom and 10x digital. An 8-megapixel autofocus camera has been given for selfie and video calling, whose incarnation is F / 1.7. With the help of S Pen, you will be able to easily click the picture. Once the button is pressed the camera will become active. Pressing the button twice will easily switch between the front and rear camera. Samsung said that after charging 40 seconds you will be able to use S Pen for 30 minutes, that is, 200 clicks. This smartphone will keep charging itself if it is installed on the S Pen. For connectivity, Samsung Galaxy Note 9 features Dual Band WiFi 802.11 AC, Bluetooth 5.0, USB Type-C charging port, 3.5mm headphone jack. Galaxy Note 9 IP 68 is certified. For the better sound quality, this will get an AKG Harmon Speakers.